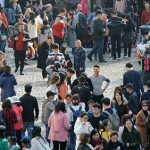 An unidentified lottery player in China has recorded the country’s largest ever jackpot. The resident of Zibo City in Shandong province scored a prize of RMB 497m (US $80.7m) after buying 60 tickets worth a combined RMB 180. The windfall is nearly double the previous jackpot record of RMB 256m in Jiangsu province’s Kunshan City. Shandong is also the site of the latest lottery deal signed by technology supplier China Vanguard Group (CVG). The Shandong Sports Lottery Administration Center has tapped CVG to provide interactive self-service betting terminals for which CVG will receive a cut of revenue generated. CVG will also contribute marketing, advertising and training services. The deal follows a similar partnership CVG stuck with Jiangxi province’s sports lottery in May. 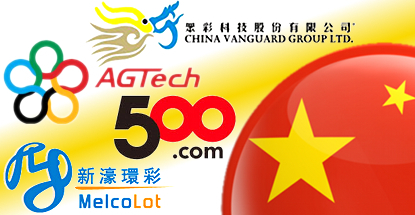 Not to be outdone, lottery technology supplier AGTech Holdings subsidiary Beijing AGTech GOT Technology Co. recently inked a deal to supply sports lottery terminals to the Jilin Sports Lottery Administration Center in Manchuria. AGTech used the occasion to humble-brag that its national market share of lottery terminals was just 2% shy of half of the installed base of machines. 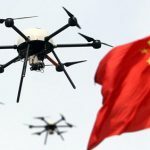 Shenzhen-based 500.com, one of only two firms officially authorized by the Chinese government to offer online sports lottery sales, has inked a strategic partnership agreement with China Mobile Ltd. 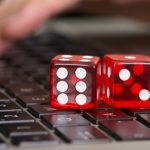 The firms are already collaborating on online sports lottery sales but the new two-year deal will see 500.com become the exclusive provider of online sports lottery products to the China Mobile Points Mall, an online marketplace where China Mobile’s 770m subscribers can redeem loyalty points. 500.com CFO Zhengming Pan credited the popularity of sports lotteries in China to its capacity for “combining your lust for money with your interest in sports.” Touche. 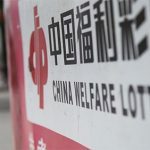 Despite China’s lottery business firing on all cylinders, Hong Kong-listed lottery supplier MelcoLot Ltd. reported a HKD 14.1m ($1.8m) loss in the first six months of 2014. While sales of lottery terminals and hardware fell 28% year-on-year, the subsidiary of Lawrence Ho’s Melco International Development also suffered a HKD 7m loss on unfavorable currency exchanges and an additional HKD 3.2m in share-based payment expenses.